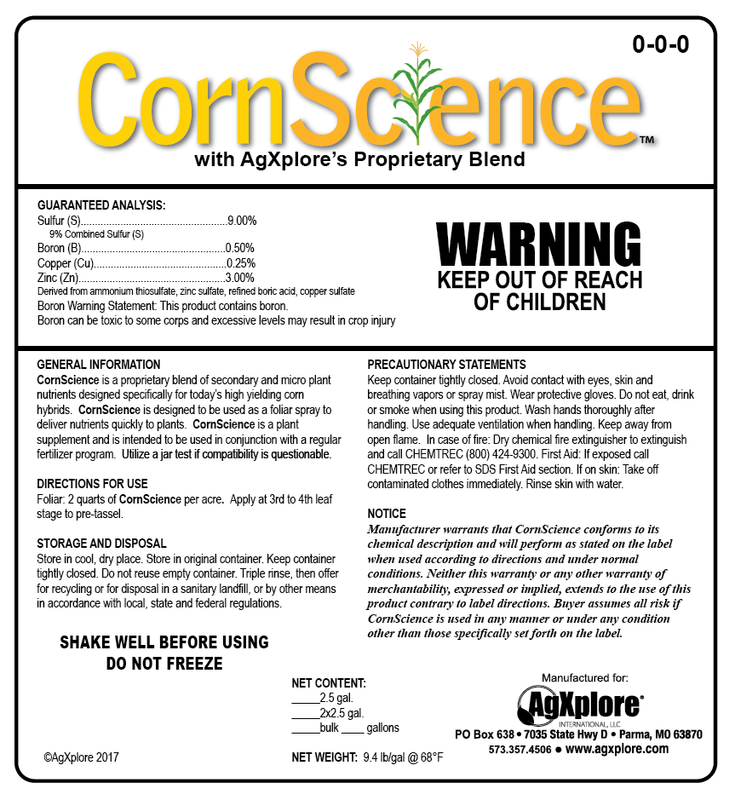 CornScience is a 0-0-0-9S with boron, copper and zinc. CornScience is designed for today’s high yielding corn hybrids. By design, CornScience is foliar applied to trigger a plant’s optimum yield potential.